Walking around any city in Greece, you will soon realize there are beautiful bakeries everywhere serving tray after tray of syrup-laden desserts. The most popular Greek dessert is baklava. 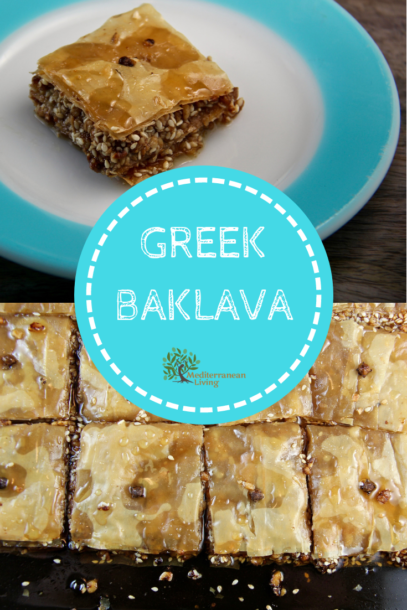 Famous for its flaky phyllo dough, rich nutty filling, and sweet syrup, baklava is the ultimate Greek dessert. 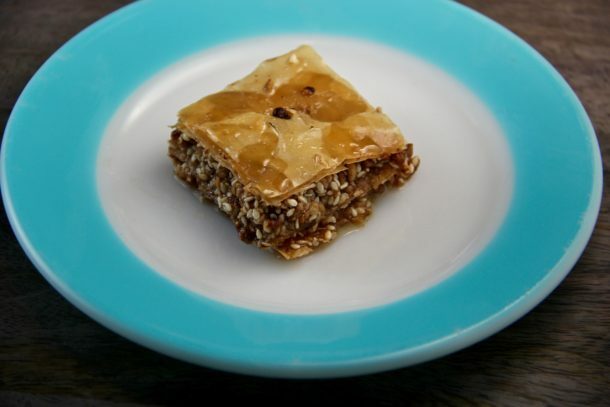 Many people have only had a store-bought, pre-made version of baklava. The real thing is so much better! The store-bought are loaded with preservatives and a list of ingredients too long for comfort. 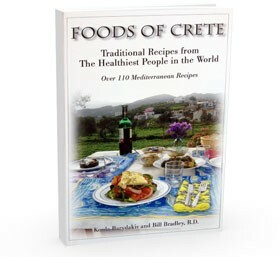 The homemade version uses good quality extra virgin olive oil which I know the store brands aren’t using. My favorite way to eat Greek baklava is with a nice strong black coffee. The best is a boiled Greek coffee. The sweet baklava contrasts perfectly with the black coffee. Mix almonds, walnuts, sesame seeds, cinnamon, ground cloves, and honey in a bowl. Brush 1 sheet phyllo (both sides) with olive oil and place in baking pan. Place 3 additional oiled sheets on top. Spread half of the nut mixture evenly on the phyllo. Brush 4 sheets of phyllo dough (separately) with olive oil and layer on top of nut mixture. Add the rest of the nut mixture on top of the phyllo you just layed down. 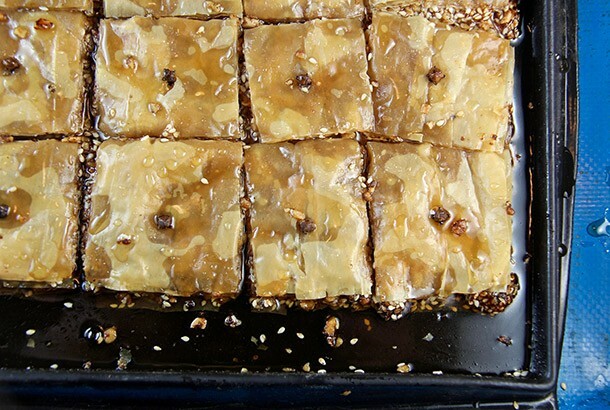 Cut the baklava into square pieces. 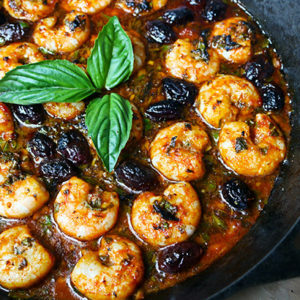 Place one whole clove on each piece. Bake for 35 minutes or until top is golden brown. For the syrup add water, honey, sugar, cinnamon stick, and lemon peel to a saucepan. 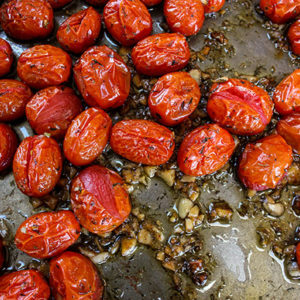 Bring to a boil, lower to a simmer. Simmer for 15 minutes and then let the syrup cool down until it's warm, not hot. Mix in the lemon juice. Remove the baklava from the oven and pour the warm syrup over the baklava.